Age of Empires III (2007, Tropical Games) is one of the first and still one of the best worker placement board games of all time. It has been out of print for 7 years now, prompting many fans and reviewers to call for a new reprint of the game. When the rights to the game were purchased by Eagle Games, the expense of license renewal of the name from Microsoft proved to be too much, so the game was re-christened Glenn Drover's Empires: Age of Discovery (EAOD), but never reprinted. Early in 2014, Eagle Games asked for volunteers from the BGG community, who really admired the game and who had played it many times, to work with the designer, Glenn Drover, and the CEO of Eagle Games, Rick Soued, to envision what a new, Deluxe version of AoE III might look like and to help them implement it. After nearly a year of work, culminating last month in the NEW rule book, that envisioning process was complete. 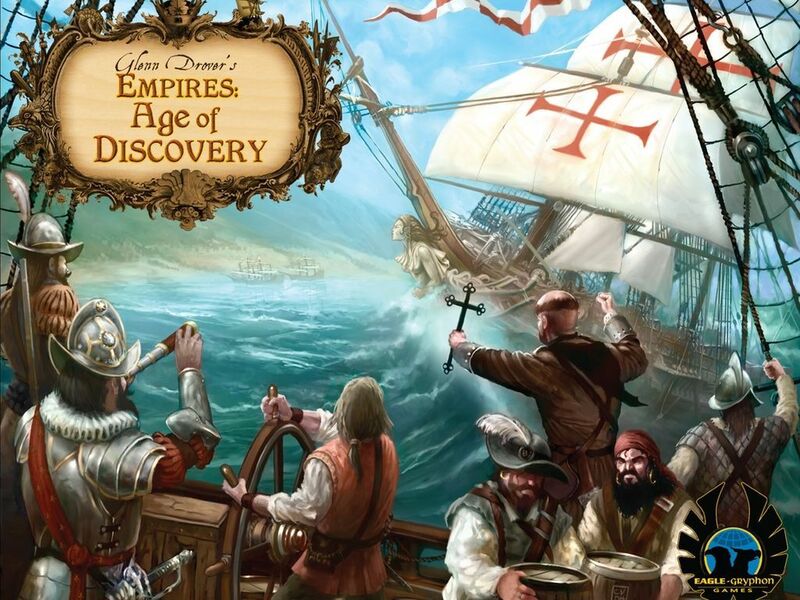 Empires: Age of Discovery, designed by Glenn Drover, allows you to revisit the age of exploration and discovery. Take on the role of a colonial power seeking fame, glory, and riches in the New World. As you proceed through three ages, you will launch expeditions of discovery, colonize regions, expand your merchant fleet, build capital buildings that give your nation distinct advantages, develop your economy, and, if necessary, declare war. This Deluxe Edition includes the Empires: Builder Expansion along with its capital buildings. Its National Advantage tiles have been built into the new Player Boards.